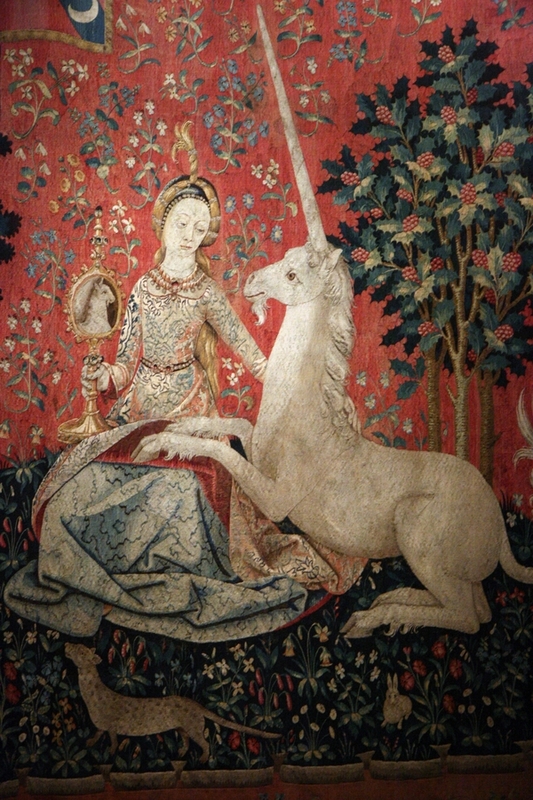 In this picture of the tapestry, The Lady and the Unicorn, the unicorn’s hooves are turning back the Lady’s dress, revealing an underlying layer. By using the image of a unicorn, the painter is letting us know right away that the scene isn’t meant to be taken literally. The Lady is also holding a mirror capturing the image of the unicorn; we see both it and its reflection simultaneously. Which is the real? Again, the author is telling us that we are dealing with an abstraction, not concrete objects. This is an example of how spiritual teachings have been handed down by teachers and schools for a long, long time. In The Lady and the Unicorn, the viewer knows that since unicorns do not exist in real life that this picture is a metaphysical message, not a rendition of physical reality. The unicorn is a kind of “tag” that lets everyone know that this painting contains symbolic images. This kind of tag shows up in sacred scripture a lot. 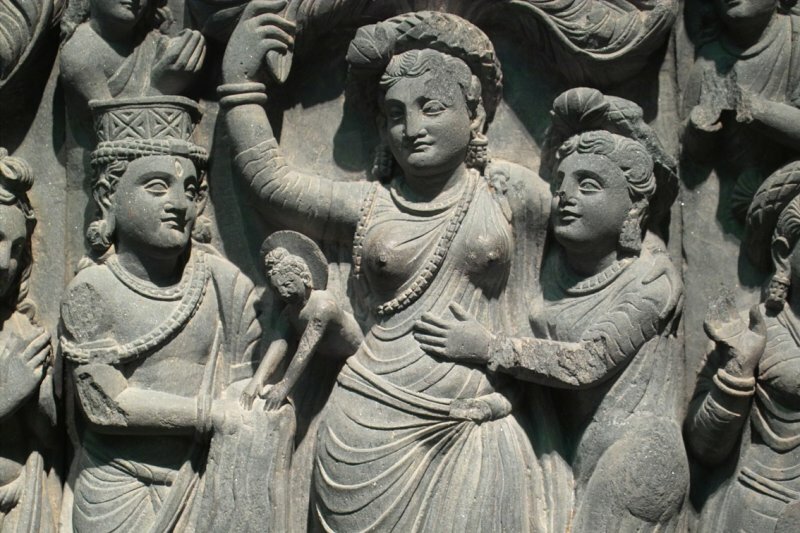 In the story of Buddha’s birth, for example, we hear that he was born out of his mother’s side. Now, everyone knows that this is impossible, so right away we are alerted that the story is symbolic. This is what the author of the story intended. 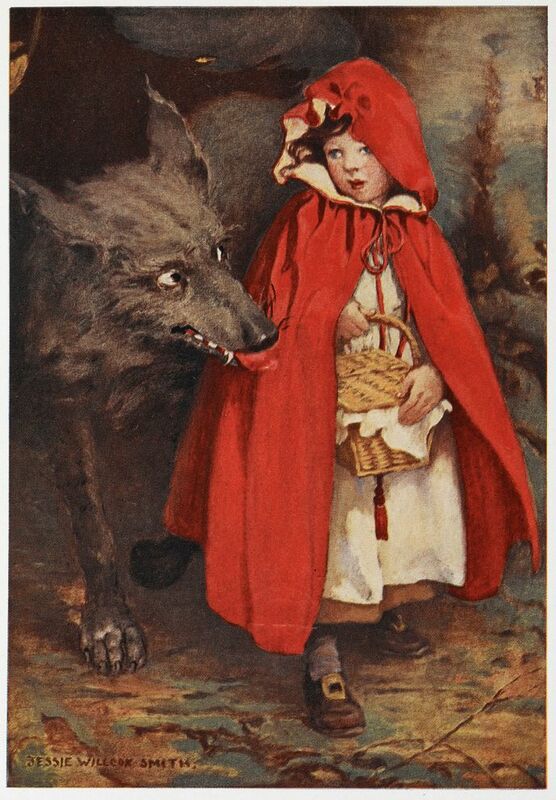 A symbolic story can be nested within a literal account of what was happening historically, but historical accounts do not have the tags that tell us to be on the lookout for symbolic content. Whenever we encounter an “impossible” event in sacred literature, we should immediately look for symbolic content. This is how sacred teachings have been passed down for millennia. After all, a story or an image is much harder to corrupt with multiple interpretations. It will stand the test of time. Abstract, philosophical concepts, on the other hand, are easily interpreted in ways that the author did not intend. loved this. The ability to think symbolically is a gift and, like music, it must be developed in order for it to flourish.